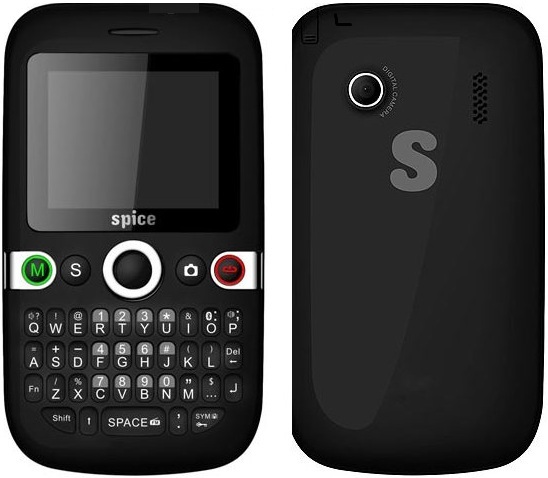 Spice QT 53 sports a 2-inch TFT with 176x220pixel resolution Display having QWERTY keypad with very limited storage(8MB + 4 MB) which can be further expandable upto 8GB. It sports 0.3 Megapixel rear VGA camera with Digital Zoom. Other features of QT 53 includes Bluetooth, WAP/GPRS, USB, Wireless FM Radio with Recording, T-Flash Card Slot, Multi Format Video/Audio Player, MP3 Ringtones, 400 phonebook Entries. 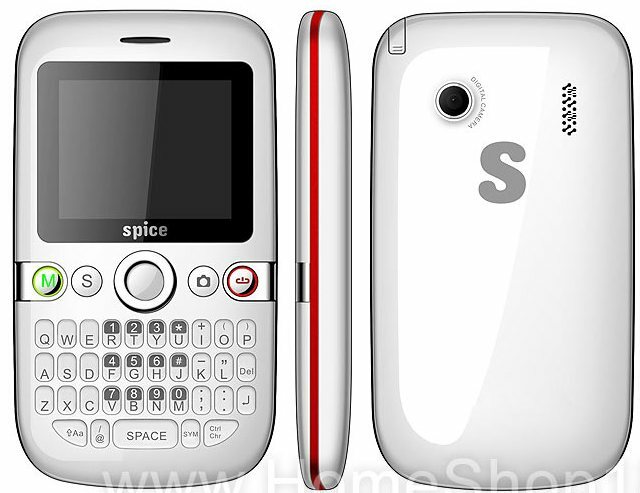 The Spice QT 53 is equipped with 800 mAH Li-ion Battery which provides Upto 7.5 hrs Talk Time and Upto 360 hrs standby. The QT-53 has a dimension of 112.6 x 62.5 x 12.6mm and weighs just 94gms. Two color option- white and black. Tags: Dual sim mobile phones India, Spice Dual Sim mobile Phones, Spice QT-53 Dual Sim Phone, Spice QT-53, Spice QT-53 features, Spice QT-53 specifications, Spice QT-53 review, Spice QT-53 details, Spice QT-53 availability, Spice QT-53 specs, Spice QT-53 images, Spice QT-53 pics, Spice QT-53 pictures, Spice QT-53 imgs, Spice QT-53 Network options, Spice QT-53 Expansion options, Spice QT-53 multimedia features, Spice QT-53 price.